Alsco, a global leader in uniform and linen rental services, has signed a multi-year extension of its race entitlements at Kentucky Speedway and Charlotte Motor Speedway along with becoming the title sponsor of the April NASCAR Xfinity Series race at Bristol Motor Speedway, track officials announced today. The race boosts Alsco's NASCAR Xfinity Series entitlements to three. Alsco is the only company with multiple race sponsorships on the NASCAR Xfinity Series schedule in 2019. The Alsco 300 at Kentucky Speedway will be held Friday, July 12 with television coverage provided by NBCSN. "We have been blessed with some fantastic long term sponsors and Alsco is at the top of that list. To have an industry leader choose to not only extend their relationship with us, but grow it with now two additional SMI race entitlements, is rewarding for the whole Kentucky team. Alsco will no doubt have a great experience at Bristol and Charlotte, but also come back to their Kentucky home for many years to come!" said Mark Simendinger, General Manager, Kentucky Speedway. The Alsco 300 at Bristol Motor Speedway will be held Saturday, April 6 and the Alsco 300 at Charlotte Motor Speedway will be held Saturday, May 25. 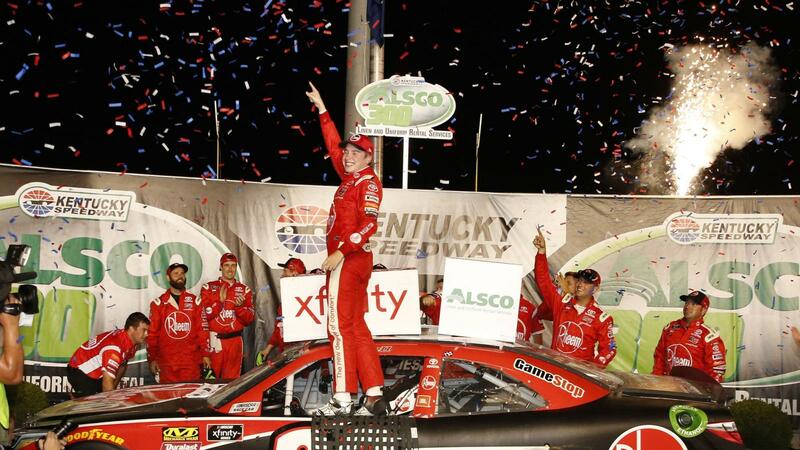 The 2019 season at Kentucky Speedway is highlighted by the return of the NASCAR tripleheader weekend in July anchored by the Monster Energy NASCAR Cup Series Quaker State 400 presented by Walmart Saturday, July 13. The Gander Outdoors Truck Series starts the weekend Thursday, July 11, and the Xfinity Series Alsco 300 is Friday, July 12.